The Turkish real estate sector is gearing up for a good year. With the Turkey property industry bouncing back significantly during 2018, investors have regained confidence in the country, many now keener than ever before to take advantage of the favourable property prices and deals on offer. The real estate industry in Turkey is buoyant. Property prices have risen consistently due to the constant demand for housing in areas such as Istanbul, Antalya and Izmir. A new wave of affordable apartments are now on offer and Turkey is once again firmly on the foreign investment map. According to Kate Everett-Allen, Knight Franks Head of International Residential Research, "Turkey is likely to remain on the radar of investors given the underlying market fundamentals of strong demand set against low supply". But where is best to invest? What Turkish locations are likely to see the most growth during 2019? Istanbul's Basin Express Highway and Canal Project Pathway will continue to see significant growth during 2019.These areas attracted a lot of interest in 2018 and sales and enquiries remain on the increase. Located in the heart of European Istanbul with excellent transport links to Ataturk airport and the city, Basin Express is rapidly becoming one of Turkey's most important financial and business centres. Price points in both areas are significantly less than many of the neighbouring suburbs making them a great choice for those seeking affordable Istanbul property for sale and anyone looking for a foot-in-the-door investment. " Tolga Ertukel, MD at Turkey Homes. Why property in Basin Express? Solid affordable investment opportunities on many turnkey, off-plan and new build projects. Excellent transport links. Basin Express is the meeting point of three main highways taking you throughout the city; the E-5 connecting Ataturk Airport to the Bosphorus Strait, the E-80 travelling East towards the Fatih Sultan Mehmet Bridge, and the Q-6, a new road connecting Istanbul's third Bridge with the new airport. There is also the metro (still partly under construction) and the Air Rail running overland from the Sea of Marmara to Ikitelli, near the Mall of Istanbul. First class facilities. International brand names and financial institutions have already moved into Basin Express. Banks such as Garanti and Turkiye Is Bankasi, alongside Halkbank and Vakif Bank have already set up their HQ's in the area. Marriot, Radisson Park, Holiday Inn, Sheraton and Hilton all have hotels in the area and a number of universities and hospitals are within easy reach. There are superb schools and the entertainment and lifestyle facilities are excellent - Basin Express is an extremely attractive place to invest or reside. 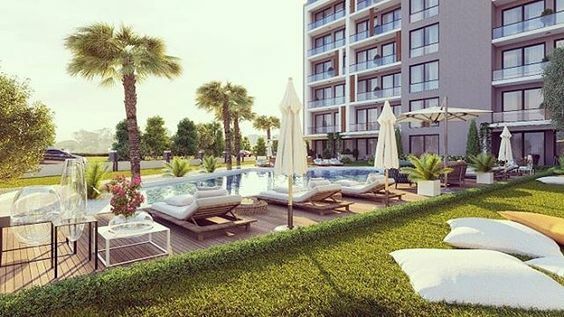 Located in Gunesli, less than 10 minutes from Ataturk Airport and just off the Basin Express Road, is this unique and modern turnkey development of luxury 1, 2 and 3 bed apartments. Within easy reach of the E-5 and TEM Highways, these apartments in Istanbul are ideally located to offer fast access throughout the city. 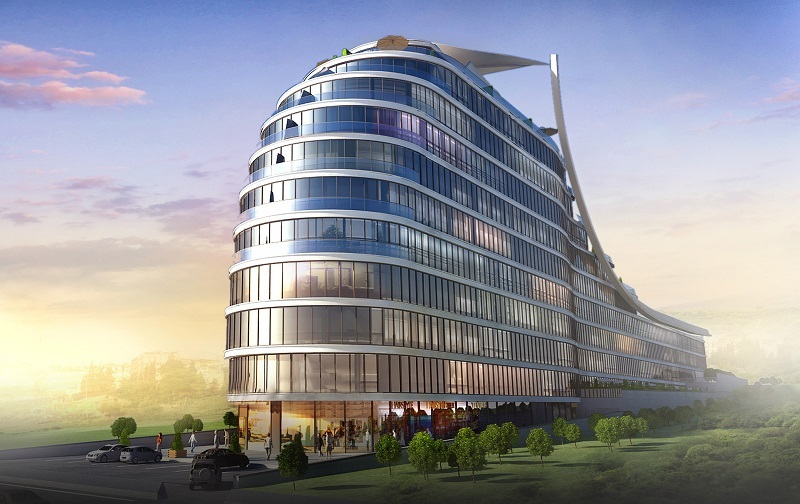 The project consists of one striking ship-like structure of 110 apartments. The development offers secure underground parking, a large communal pool, garden and leisure facilities, 24 hour security and lifts allowing easy access to all floors. 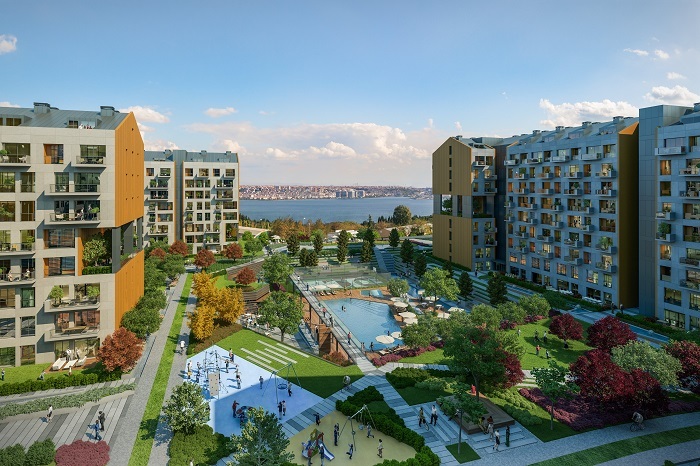 This modern development of 523 spacious 1 to 4 bed apartments lies in Avcilar, on the European side of Istanbul with easy connections to the city via the E-5 highway. The project consists of 3 low-rise blocks sitting on an impressive 28,000m2 plot just 500m from Lake Kucukcekmece. Built by a respected developer, the site includes many leisure facilities, parks, jogging tracks, pools, fitness centres and games rooms making it ideal for families as well as business residents. Avcilar is tipped as an area to watch. The price of property for sale in Avcilar is likely to rise considerably once the Canal Project is underway and the area is set to become one of Istanbul's most prestigious locations. This development offers the ideal opportunity to get in early with some great incentives for cash purchasers. "Antalya boasts an established real estate market with lots of choice and opportunity. The province caters not only to lifestyle seekers, but also the golfer, the serious investor and the luxury property buyer. Antalya could be likened to Miami, certainly in terms of first class beaches, high-end resorts, facilities and ease of living. And, what's interesting is that Antalya is not content with being Turkey's premiere coastal resort - the likes of the new Boğaçay Marina project is set to push the popularity of the city and its investment potential even further. With a brand new infrastructure and wave of fancy facilities and developments already underway, I expect apartments in Antalya, especially in areas in line with the new coastal project, to receive significant interest this year." Tolga Ertukel. Rising tourist numbers are driving property prices up and ensuring a constant rental demand. According to the Ministry of Culture and Tourism, Antalya ranked in the top 5 in Europe in terms of international tourist arrivals during 2018 and numbers are expected to rise again over the next 12 months. Demands for property in Antalya are very much on the increase. A wide range of affordable property. Antalya is fast becoming Turkey's coastal capital for tourism and commerce yet price tags on property in Antalya are still reasonable - certainly in comparison to many areas of Istanbul. Great transport links. Antalya's airport is the second busiest airport in Turkey operating international flights year-round and hosting over 30 million tourists each year. New roads, highways and improvements in infrastructure are also ensuring the city is easy to navigate and well connected offering links throughout the province and further afield. First class facilities. From the historic old town with its cobbled streets and crumbling city walls, to the ultra modern resorts boasting theme parks and the likes of Land of Legends in Belek, Antalya has something to attract most tourists and investors. Modern schools, excellent healthcare and no end of shopping malls and brand name stores leave Antalya an attractive place to reside or visit. 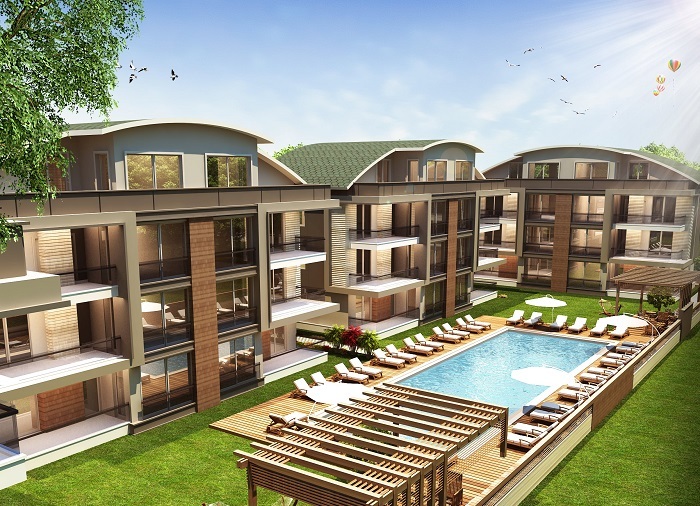 This modern off-plan development of apartments for sale in Antalya lies in a superb central location just 800 meters from the beach and 10 minutes from Antalya airport. Due for completion June 2019, the project is being built by a reputable developer to the latest building standards. The complex contains six blocks of 2 to 4 bed luxury apartments surrounding a large communal pool with on-site sports and leisure facilities. The Belek region of Antalya sits right on the coast midway between historic Side and Antalya city centre. The area boasts blue flag beaches, themed resorts and a wealth of facilities in its own right, but is perhaps best known for its array of world-class golf courses. This newly completed project of just 24 apartments surrounding a communal pool is in a superb location just 100m stroll from the centre of the resort, a couple of minutes drive from the beach and within easy reach of the golf courses. This project is exclusive to Turkey Homes and offers investors affordable golf property in Turkey with attractive payment incentives. "Izmir is Turkey's third largest city. It offers investors an attractive mix of cosmopolitan living coupled with laid back coastal lifestyle - it's also easy to access with main highways running straight through the centre and its own international airport. Izmir has for many years lured the Turkish property investors but only recently we have received a surge in sales and enquiries from foreigners. A property in Izmir makes sense. Property for sale in Izmir starts from as little as £50,000 with many projects coming with extended interest free payment plans making property investment in Izmir extremely affordable. Izmir is a good alternative to Istanbul and a location I see attracting far more international interest during 2019." predicts Tolga Ertukel, Managing Director of Turkey Homes. Izmir is a large and vibrant city offering a wealth of historic, cultural and modern attractions. Izmir boasts all the modern facilities of an easy life alongside an excellent infrastructure. It's also within easy reach of many historic sites such as Ephesus and the ancient city of Pergammon ensuring a constant tourist and rental demand. The city offers a broad range of coastal and city centre locations and properties suiting most tastes and budgets. From luxury coastal villas for sale in Cesme and Alacati, to modern apartments in Izmir for sale in city centre projects close to all the amenities, Izmir offers investors a range of opportunities. Great location - Izmir is easy to access. Not only does Izmir have its own airport running international flights year-round, it is also within a few hours' drive of Bodrum and Kusadasi and just off the main highway running from Antalya all the way to Istanbul. Located in the popular central suburb of Bornova, close to Ege University and Ege University Hospital, is this complete and modern development of 202 studio, 1 and 2 bed apartments. Built to the highest standards by a respected developer, these Izmir apartments for sale boast heat and sound insulation, high-end fixtures and fittings, internal security systems, garden terraces and glass paneled balconies. On site there is a shared heated indoor pool, outdoor pool, sauna and Turkish bath. These apartments are offered at an excellent price and ideal for anyone looking to live, study or work in the area or investors seeking a solid rental return. This stylish development of studio through to 3 bed apartments is spread over 10 low rise residential blocks and due to complete December 2019. It is located in the Cigli district of Izmir, an established suburb with its own amenities north west of the city centre. The project is a wise and affordable choice for commuters and investors looking for more for their money. The development boasts a wide variety of on-site facilities including indoor swimming pool, fitness centre, spa, cafe, football and basketball courts, children's play areas, meeting rooms, shops and gardens. Excellent payment terms available. To find out more about any of the featured properties or to arrange a viewing, please contact Turkey Homes.